Last year, when I did my series of Back to School reviews, it somehow slipped my mind to review Alexander Payne’s 1999 comedy, Election. Don’t ask me how I managed to do that. Election, after all, is one of the greatest high school films ever made. Not only does it feature Reese Witherspoon’s best performance (or, at least, it was her best performance up until the release of Wild) but it also features Ferris Bueller himself, Matthew Broderick, as the type of teacher who regularly inspired Ferris to skip school. Trust me — when I realized that I had managed to review Cavegirl while somehow ignoring Election, I was mortified. But then, a few months later, I decided to do Shattered Politics and review 94 films about politics and politicians. And it occurred to me that Election may have been a high school film but it was also a political satire. Add to that, it’s totally plausible that Reese Witherspoon’s Tracy Flick will someday end up running for President. That certainly seems to be the concern of Jim McAllister (Matthew Broderick) in Election. When he learns that Tracy is planning on running for student body president, Jim is concerned. Tracy is an overachiever. Tracy is the type of student who always raises her hand in class and who always has the right answer. Tracy is the type of student that tends to drive other students crazy. As Jim puts it, if Tracy is elected Student Body President, who knows where it will end? Of course. Jim has other reasons for disliking Tracy. Earlier in the year, for instance, Tracy was seduced by Jim’s fellow teacher and best friend, Dave Novotny (Mark Harelik). When Tracy’s mother (played by Colleen Camp) discovered the affair, Dave was forced to retire and was subsequently divorced. When Tracy mentions that if she’s elected President, that means she and Jim will be working closely together, Jim panics. Jim thinks that Tracy will try to seduce him and he knows that he would be too weak to resist. 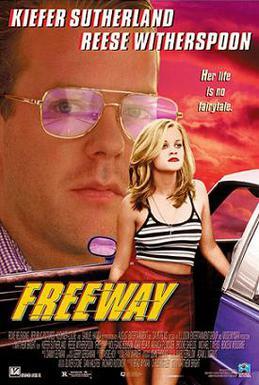 Instead, Jim would rather have an affair Dave’s ex-wife (Delaney Driscoll) while trying unsuccessfully to get his own wife (Molly Hagan) pregnant. So, of course, Jim decides to recruit Paul Metzler (Chris Klein) to run against her. Paul is a simple-minded but sweet-natured jock who, as the result of breaking his leg while skiing, has become something of a school martyr. As soon as Paul announces that he’s running, his cynical little sister Tammy (Jessica Campbell) also announces that she’s running, despite the fact that she hates school and thinks that idea of student government is a joke. Tammy’s main motivation is that her ex-girlfriend, Lisa (Frankie Ingrassia) has announced that she was just “experimenting” and is now dating Paul and managing his campaign. As the campaign plays out, Jim is panicked to discover that, while Paul may be popular, he’s also amazingly inarticulate and really doesn’t seem to care whether he wins or not. Meanwhile, Tammy announces that her first action as president will be to destroy the student government. However, Jim then has reason to believe that Tracy destroyed some campaign signs (mostly because Tracy did) and he comes up with a plan to get her disqualified from the ballot. One of the things that always amuses me about TV shows set in high school is that they almost always feature an absurdly powerful student council. Remember that episode of Boy Meets World where Topanga is elected president because she gives a speech about how somebody has to do something about the mold in the cafeteria? That’s the fantasy view of the student council. The reality is that, when I was in high school, the student council was something that, whenever we remembered that it actually existed, we all laughed about. But here’s the thing — we all knew someone like Tracy Flick. We all knew someone who took things like the student council very seriously and who would always get very angry whenever the rest of us showed less reverence for school institutions. And, in retrospect, you almost have to feel sorry for her because what she never understood was that devotion to the rules and hard work really don’t mean much in either high school or college. The genius of Reese Witherspoon’s performance is that she brings to life a character that we all know and then, at the same time, makes her a unique human being. In the role of Tracy, Witherspoon allows us to understand what motivated the girls who always used to get on our nerves. And then, of course, there’s Matthew Broderick. Broderick starts out as a glibly self-confident character just to end the film as something of a twisted gargoyle, unshaven because he’s been sleeping in his car and, as the result of a bee sting, a frightfully swollen eye. By the end of the film, Jim has essentially been destroyed by his fear and obsessive hatred of one student. Broderick is not exactly playing a sympathetic character here but it’s still a compelling performance because it confirms everything that I always suspected about all of my teachers — i.e., that they specifically and targeted certain students and that most of them were motivated by jealousy. Thank you, Election, for letting me know that I was right!